Soy wax blend of mandarin orange, tangerine, ripe peach, mango, creamy vanilla, and smooth musk. 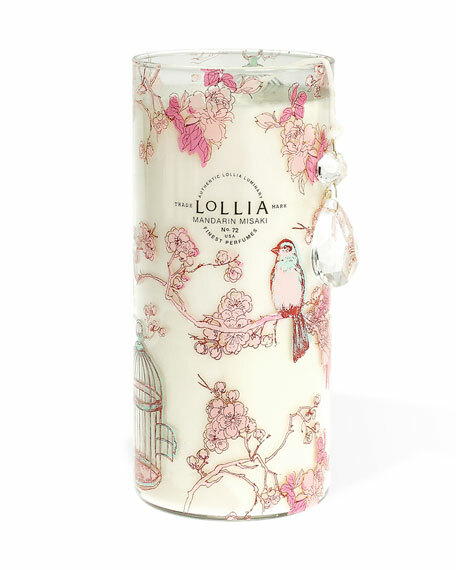 Chinoiserie bird and branches wrap around signature LoLLIA glass. Burn time 124 hours. Burn with companion candle, Imagine Petite Perfumed Luminary, to create a third unique fragrance.